Diagnosed with stage 4 lung cancer, Kurt Jacobson has received state-of-the-art care from Mayo Clinic without needing to travel far from his home in northern Wisconsin. For Gary and Carolyn Lockner, a trip to Mayo Clinic is more than a doctor’s appointment. 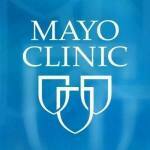 To the Lockners, Mayo Clinic not only provides physical healing, it also offers emotional support and renewed hope. When Donald Brotzman was diagnosed with three separate cancers at once, his Mayo Clinic care team crafted a comprehensive treatment plan that addressed all of Donald’s medical concerns in a coordinated, compassionate way. Participating in a lung screening research study at Mayo Clinic paved the way for early diagnosis and prompt treatment of lung cancer for Richard Jarvis. As a lifelong smoker, Sue Franken had resigned herself to the unhealthy habit. But that changed when Sue followed through on a promise she made to her sister. Ken Settlemire’s lung cancer care at Mayo Clinic involved an intricate surgical procedure that eliminated the cancer while removing the smallest amount of lung tissue necessary.